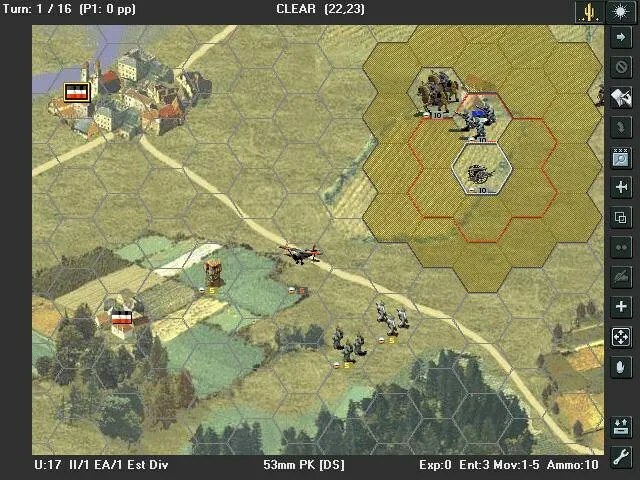 Luis Guzman’s Open General Strategic and Tactical Turn-Based War Game. Description: A turn-based strategy game that evolved from SSI’s classic Panzer General II. Has been expanded from original focus on World War II to include World War I, The Spanish Civil War, The American Civil War, The Hungarian War for Independence in 1848, and so on. Ciechanow – September 5, 1939 – The German troops try to clear Polish forces from Mlawa and Ciechanow. Next story C-Evo Turn-Based Open Source Strategy Game. Previous story Element Studios’ Call of Combat Real-Time Tactics War Game.